For our Shop Item of the Week we bring you this lovely water colour & ink painting on paper by Cameron Morgan. ‘I’m getting my super’ is an original painting measuring 30 x 30 cm. 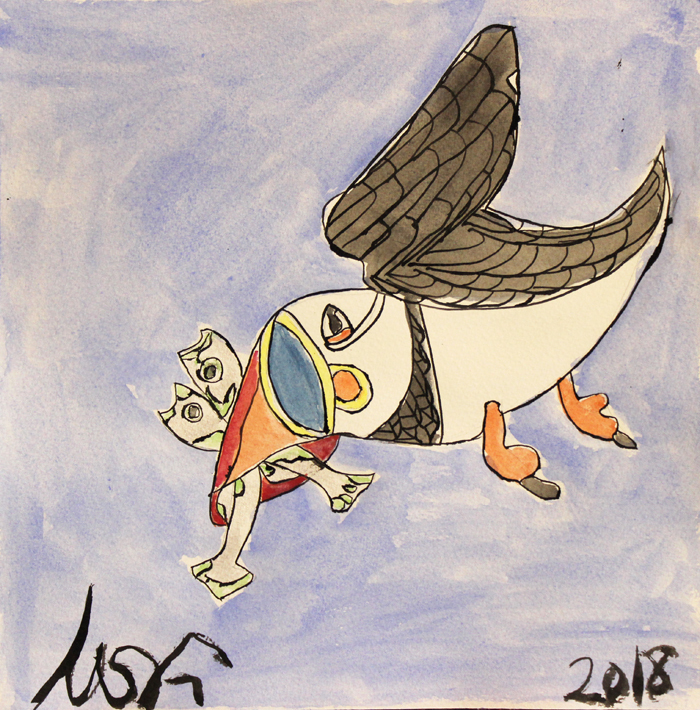 Morgan has created a number of puffin inspired artworks in the last few months, and we are especially fond of this little painting. You can find it here in our online shop for £35.